Plastic pallet covers are an excellent way to protect products on pallets and prevent loads from falling or scattering during transportation. If you want to keep dust, dirt, or other debris off of your products, you can trust plastic covers to get the job done. They’re simple to use, reliable, affordable, and can easily expand to the width of a standard pallet. We understand how important it is to have high-quality shipping, packaging, and organizational products at your business. You don’t want to stress and struggle to come up with solutions for protecting, storing, transporting, and shipping items. However, we also know that you’re busy and that you want to spend your time and money on more pressing business issues. That’s why the Packaging Company is here. 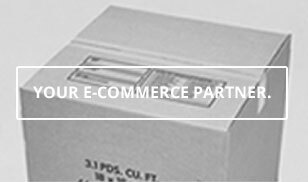 Our focus is on shipping and packaging materials so that your focus can be on your business. We have years of experience in helping companies succeed, protect their products, and properly represent their brand. If you store or ship products and they get damaged, this reflects poorly on your organization. Don’t let that happen to you. Trust the Packaging Company to supply you with the products you need. We stock a wide variety of plastic covers to help you keep your products safe. From standard clear covers to heavy duty covers, we have what you need in a number of different sizes and types. At the Packaging Company, we also pride ourselves on offering superior customer service. We know that working as a trusted partner is critical. If you have any questions about our plastic pallet covers or anything we sell, please do not hesitate to contact us today. We will be more than happy to speak with you and help you with any questions or issues that you may have. Trust the Packaging Company to get the job done.